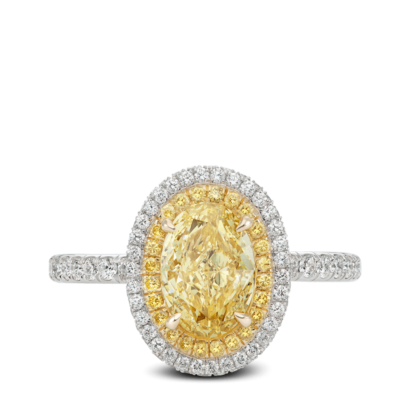 Oval brilliant yellow diamond set in gold basket. Surrounded by a row of yellow diamond melee, and a double edge row of white diamond melee. 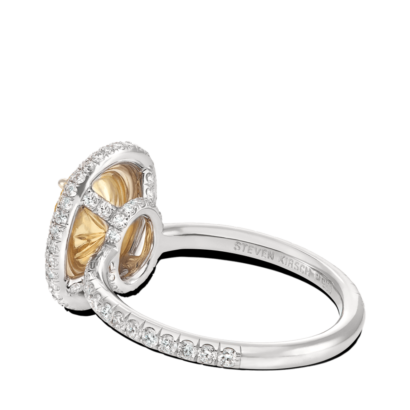 Delicate pave also set on shank and basket. Designed for a 3 ct oval center stone. Can be made for any size center stone. **Price is for the metal, labor and melee alone. 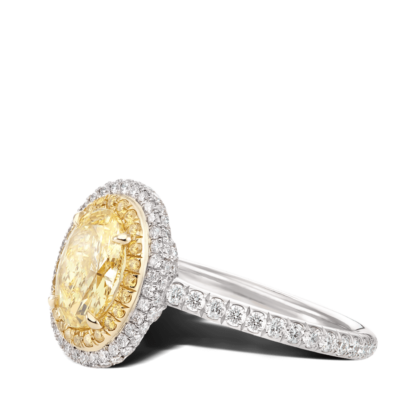 Price subject to change according to ring size and carat weight/size of center stone. Center stone is sold separate.